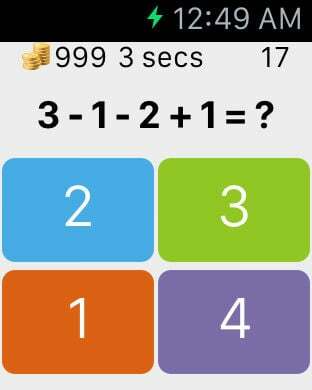 This is a math game which all the questions and answers are combined by 1, 2, 3 or 4, plus and minus. See the question and choose the correct answer between 1, 2, 3 and 4. But you have only few seconds to answer. Give the correct as answer as fast as you can! Easy level - addition and subtraction, 6 seconds. Medium level - addition and subtraction, 3 seconds. Hard level - addition, subtraction, division, multiplication, 3 seconds. Don't underestimate the 1-2-3-4. 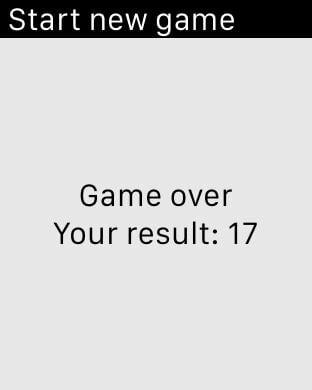 Try to score at least 20 points and you will understand how difficult it is. You can also play with opponents from around the world online. Short competitions (lasting no longer than 20 sec.) consist of 5 rounds. The winner is determined by tallying up the results of all the rounds.